Nina Kraviz’s recent contribution to the fabric mix series unseated expectations of anyone who has come to expect floor-filling house and techno sets stocked with Dance Mania classics from the Russian selector. fabric.91 features 41 tracks that cover skittering electro-IDM, spoken word clips, ambient eddies and squelching lo-fi acid, many of which were helmed by signees to her label трип. As with the mixed CD, трип has featured a wide array of styles and artists, but it has long placed a special emphasis on promoting lesser-known Russian producers; the mixed CD alone featured the likes of Species Of Fishes, Nikita Zabelin and PTU. The PTU track featured on that compilation, “A Broken Clock Is Right Twice A Day”, was the title track for the duo’s трип EP, which arrives this month. 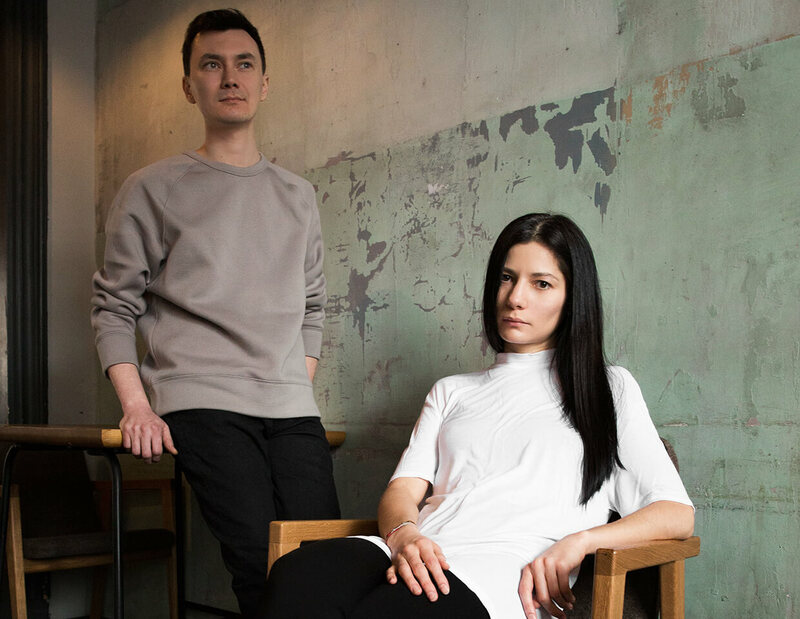 The two members of PTU, Alina Izolenta and Kamil EA, grew up in Siberia and Volga and recorded the release in Moscow and Kazan, so they’ve become embedded in the techno communities throughout Russia. We called upon their special knowledge of the exciting electronic music scene in Moscow and beyond to get a picture of what’s going on there. You may have heard about Mira already. She’s from the edge of the world—from the area where Russia borders China. And it seems that she knows something we don’t. Her music as Ishome is deep and touching and operates as a guide to the most concealed corners of the human soul. Poima means “floodplain,” an area of land close to a river or a stream that stretches from the banks of its channel to the nearby valley and sometimes floods. Poima’s music is an energetic element, an analog whirlwind, a perfect example of pure concentrated tehchno. Alexander Lestyukhin and Semyon Kaspian are residents of Arma17, the guys behind the highly appreciated Minimum party series and members of the team behind Moscow’s Rabitza club. Nikita Zabelin is an artist on трип and a presenter on Moscow’s Resonance FM radio station. He also runs the Resonance Moscow label and is an Arma17 resident as well as the promoter of his own party series called UNIT party series, which deals with new names. He’s a person of unbelievable energy and kind Ural soul. One can’t imagine contemporary Russian scene without his presence. Rustem Imamiev (a.k.a. XAN) also performed at the latest Boiler Room Moscow. In the past he was a breakdancer and then a part of the Russian music community known as johnskingdom, and now he takes part in running the club Rabitza. The video above is a premiere; Rustem made it exclusively for this guide. Kate stands out in our list—as she does in every other list, really. Besides her solo project NV, Kate is also the leader of ГШ (Glintshake), a popular post-punk band that’s one of the best in Russia right now. Besides that, she’s a member of the Moscow Scratch Orchestra, a collective dedicated to performing experimental pieces by Cornelius Cardew. This summer she’s going on tour with Jessy Lanza, and we wish her the best of luck with that. Molodoy Chelovek, or “young man,” is the alias of Leonel Suleimanov from Ufa. These are the studies of inner nature. He’s prepping a record for Xosar’s label that’s shrouded in mystery, which is a good fit. Obgon means “overtaking” in Russian. Andrew Lee’s music is speeding past by you like a freight train. He’s able to hypnotize by sheer energy, which was apparent at the latest Boiler Room Moscow, where he played an amazing live set. His debut release came out on Philipp Gorbachev‘s PG Tune label, and the digital version of the EP contains a unique sample pack with 50 samples of heavy machinery that he recorded. Moreover, Obgon is 1/2 of industrial techno duo Interchain. Vasiliy Skobeev is a young Muscovite who has already released on Opal Tapes, MMODEM and, as of March, 100% Silk. He’s an intellectual, highly pleasant conversationist and a cinema freak with music background, so we’re always really happy to see him. His music is like looking at the world directly and openly and converting that into sounds. Inga Mauer is a well-known artist with a proactive attitude. European crowds are already familiar with her punchy, crushing sets. Besides more dates in the EU, Inga has an Asian tour in the pipeline for 2017. Moa Pillar is Fedor Pereverzev from Moscow. Starting with his record “Humanity”, he’s been turning heads, which led to festival appearances at Flow and Unsound, where he played with Helm. He calls his music “spiritual bass techno”, and his second record for Full Of Nothing label will definitely be a blast. PTU will perform live at Nuits Sonores in May 2017.